The Discretes components marketing brochure – which we happily designed and produced for them – was a big effort from all involved and is packed full with useful images and technical information for electronics engineers in Europe and beyond. TTI’s marketing team loved it so much, they (somehow!) 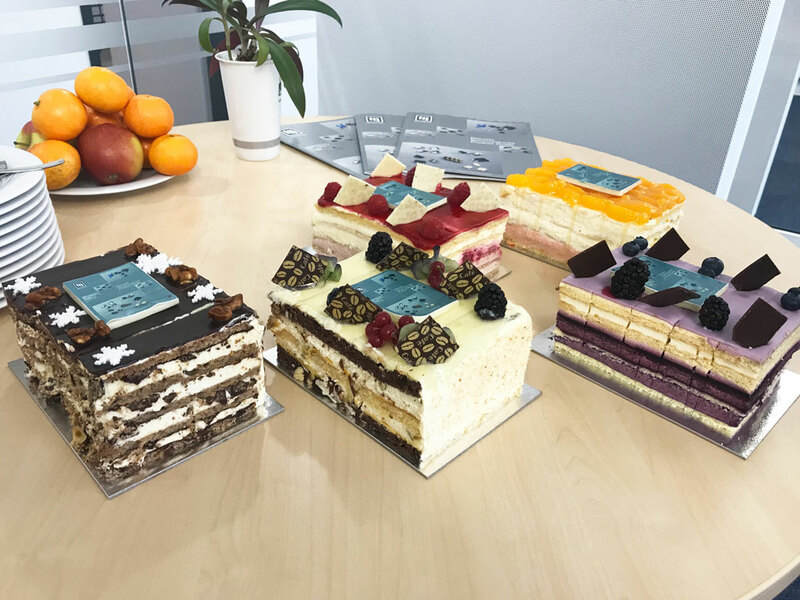 made into mini-cakes for their sales office. 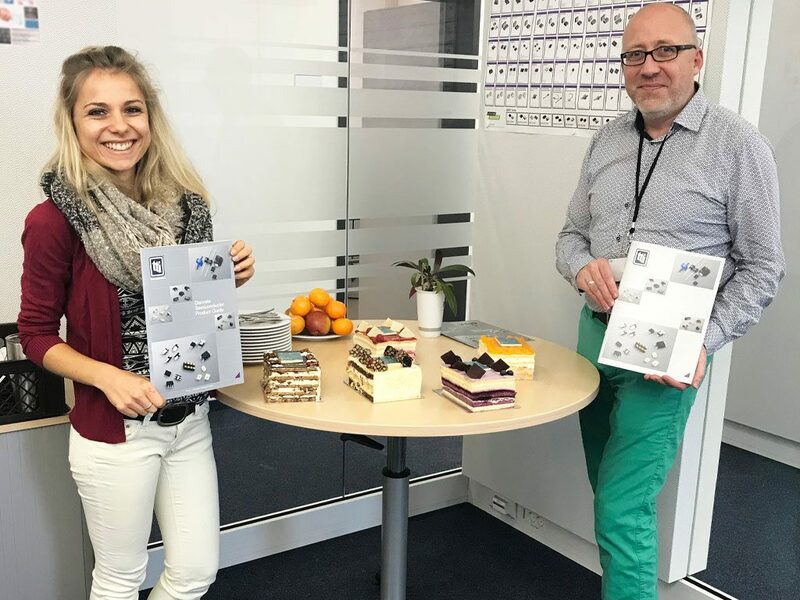 It’s certainly a first for me to have a brochure made into a set of desserts… but, they do make the most amazing cakes in Munich – so why not! Below are Bianca and Dermot from TTI before they tuck in.